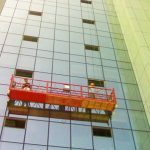 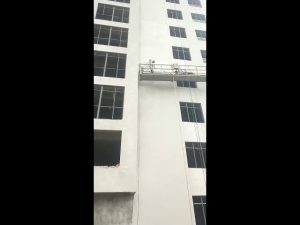 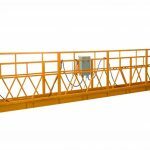 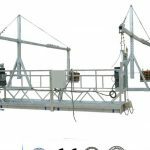 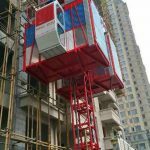 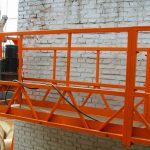 Suspended platform is a substitute of traditional scaffold used for exterior wall construction, decoration, cleaning and maintenance of high-rise buildings, such as mortaring, decorating walls with mosaic, painting, fixing windows and cleaning etc. 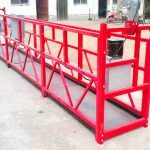 It is also ideal for applications such as installation of elevators, the welding of seagoing ship in shipbuilding industry, cleaning of oil-based paint, big-size tanks, high chimneys, bridges and large dams. 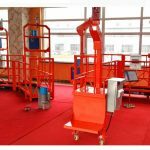 The electric control system consists of electric control box, electromagnetic braking motor and handle switch etc. 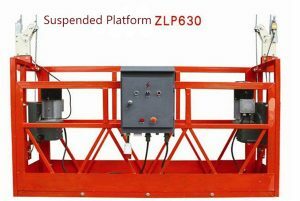 The upward and downward movement of suspended platform is controlled by two electromagnetic braking motors. 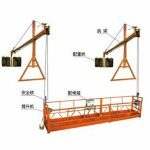 The hoists for ZLP series consists of electromagnetic brake motor, centrifugal speed limiter and dual speed reduction system and pulling rope system etc. 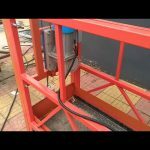 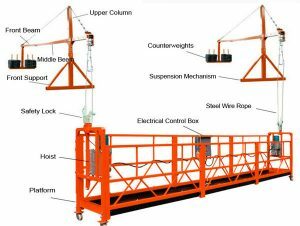 Safety lock is a separate mechanical unit that can automatically lock safety wire rope when the working wire rope is broken or suspended platform tilts to its limit. 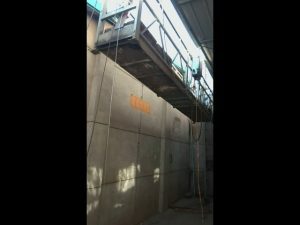 There are two kinds of safety lock. 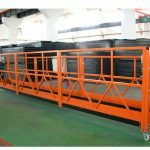 They are anti-proof safety lock or centrifugal speed-limit safety lock. 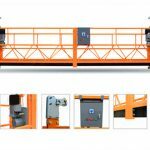 And there are three types safety lock: LST20, LST30 and LSG20. 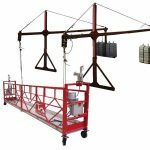 LST20 and LST30 are anti-proof safety lock, and LSG20 is centrifugal speed-limit safety lock.